It was an overcast New England Saturday in October. It had rained hard on Friday night and the premier baseball diamond, set to host a tournament in two days, was underwater. Despite a rough start, the Needham baseball players and coaches paved the way to a triumph beyond the win itself. ATHLETES, COACHES, PARENTS: WHAT’S YOUR WHY? I was shocked Thursday evening to see the scene in the Michigan State-Bradley game between future Hall of Fame coach Tom Izzo berating one of his star players during the game. Angela Cao, Positive Coaching Alliance (PCA), and the young athletes reached through PCA’s Triple-Impact Competitor workshop series are all thankful. Positive Coaching Alliance-New England welcomes Bruce Richardson, Chief of Enterprise Strategy at Salesforce to its Board. I think the most important element on our most successful teams has undoubtedly been a result of great team chemistry. Thanks to Mark and CBS EcoMedia, PCA-NE was awarded a $100,000 grant from the Chevy Dealers of New England, to deliver a special series of IMPACT workshops. There’s an X-factor in this swirl of information that is a major influencer in the outcome of the big game, one that science is only beginning to examine: Team culture. Positive Coaching Alliance-New England welcomes Matthew D. Cohn, a partner in the corporate group of Kirkland & Ellis LLP as one of its newest Chapter Board Members. Ten ways (+1) that the the 2018 World Series Champion Red Sox Represented PCA Principles throughout the 5 games of this year's Fall Classic. You and your squad can catch the high-level action with the MLL’s incredible Boston Cannons and their Coach Sean Quirk. The Becketts have brought PCA into their home, into their communities at Yale, in Guilford, and to the Ivy league reaching countless coaches, kids, and their families. Seven Olympians and six pro sports team representatives gathered together with youth, high school, and college athletes, coaches, and parents to support PCA. #RespectYourRival Who wins? The answer is obvious, kids who play sports. What Do MLB Players Want From A Coach? FUN was the order of the day Saturday, January 6 when 8 of PCA’s fifteen Triple-Impact Competitor honorees juggled games and practices, to travel to Harvard for a celebration. PCA-New England is proud to announce that 15 high school student-athletes from around New England are Finalists in its Triple-Impact Competitor® Scholarship Award program. The teams’ coaches Brad Stevens and Steve Kerr, took the unusual step of taking time out of their game day preparations to get together to support Positive Coaching Alliance. PCA conducts many different types of workshops for partners throughout New England. Here is a quick description of some recent workshops. In a room filled with sunlight and a broad view of Fenway Park, on November 10th, Isaiah Kacyvenski welcomed Teevens to PCA’s National Advisory Board at a Gameday Lunch. 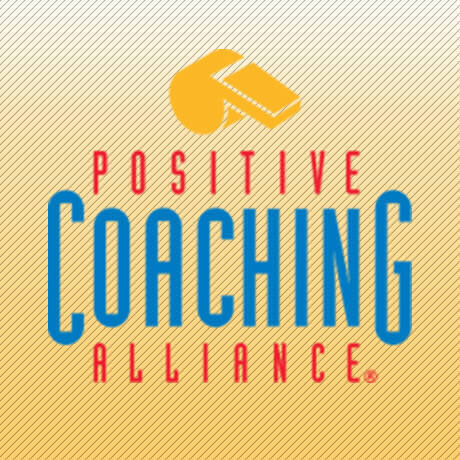 Positive Coaching Alliance today announced the appointment of Eugene Francis (“Buddy”) Teevens III to Positive Coaching Alliance’s National Advisory Board. You + Brad Stevens + Steve Kerr. Brad Stevens and Steve Kerr will meet a Lucky Fan & Guest before the Celtics take on the Warriors at the Garden on Nov. 16. Suzie Hoyt, a 2017 Double-Goal Coach® Award Winner, helps all kids realize the impact they make on the team. If you know a coach like that, consider nominating them today. In coming together and running, walking, or limping up to the 12 character banners (CHARACTER, GRIT, JOY, etc. ), our supporters exemplified the power of sports to build character. Are you looking for a bonding experience? A good workout? Or an active way to support PCA’s development of Better Athletes, Better People? If so, check out the STADIUM STAMPEDE. Modell’s Sporting Goods is giving back to Positive Coaching Alliance (PCA) and its partners in New England. Massachusetts Hockey announced at its annual Leadership Conference in May the continued Partnership with Positive Coaching Alliance. Organized by PCA-New England Board Member Kim Beckett for an audience of more than 110 people, the evening’s message was clear—find the joy in sports and be authentically you. The theme of the reception was 'Elevate the Game, Elevate Life' and featured Jim Thompson, PCA’s founder and CEO, and Katey Stone, Harvard Hockey Coach. View our list of 13 silent auction items at Yale for Play On: Girls in the Game Wednesday, June 7 Presented by PCA, Yale University, and Under Armour featuring Julie Foudy. Alan Mednick founded the Ravens with the goal of raising awareness and funds for suicide prevention, while also creating a supportive culture for his team. John Ingoldsby is the Host of "All Around Sports” on VoiceAmerica Radio. During his latest segment (May 8, 2017) Ingoldsby twice discussed PCA's Football At Fenway event. Respect in "The Greatest Game Of Them All"
Coaches from Brown, Dartmouth, UConn, BC, UMass, and Maine made a powerful lineup at Fenway Park for a panel focused on the future of football and how football builds character. Our "Essential Framework For Dealing With Many Challenging Issues in Coaching"
Hoyt has been named one of four winners for an all-expenses-paid trip to Palo Alto to participate in a panel discussion on-stage April 22 at PCA’s National Youth Sports Awards. Positive Coaching Alliance (PCA) is honoring sixteen New England coaches from more than 2,000 nominated nationwide as part of PCA’s 2017 Double-Goal Coach® Award Program. Think the New England Patriots and Positive Coaching Alliance have nothing in common? Think again. How Many Patriots Were Multi-Sport Athletes Through College? Your child’s coach wants him or her to commit to one sport, the sport they coach. But is that the best answer for your child? Maybe, maybe not. The Patriots may prove to be the best team on Sunday, and they have their team culture to thank for it. Be authentic. Be who you are. Be Martellus Bennett and dance with the Patriots cheerleaders to celebrate your first trip to the Super Bowl, in your hometown of Houston. After 17 years, Tom Brady is still a contender for the title of greatest quarterback of all time. How? Brady has made a complete commitment to the process of improvement. A fabulous sportswriter, a proud father, and a great coach, Earl K. Cox of Louisville, Kentucky died on December 13, 2016. The parquet. The lights. The green. Everywhere. 17 middle-school basketball players all wearing their own green emerge from the cage into the TD Garden, home of the Boston Celtics. On Friday, January 20th, Boston College Hockey is celebrating its relationship with Positive Coaching Alliance (PCA) during its men's hockey game against UMass. Each month, PCA-NE shines a spotlight on five of the twenty high school scholar athletes who were recognized as Triple-Impact Competitor Finalists in a pregame ceremony at Fenway. 600+ coaches filled the Warrior Ice Arena on Nov. 19th for the Boston Bruins Coaching Symposium, and were treated to PCA’s upbeat message about the benefits of positive coaching. Think of yourself as an athlete, I guarantee you it will change the way you walk, the way you work, and the decisions you make about leadership, teamwork, and success. See five PCA-New England high school scholar athletes who have been recognized as Triple-Impact Competitor Finalists for the Triple-Impact Competitor scholarship. Ortiz's legacy will not only include his own athletic achievement, but also the way he uplifted teammates and respected opponents. BC Hockey Coach York and his assistants, Greg Brown and Mike Ayers, sat down with PCA Lead Trainer Eric and Eisendrath and shared the secret of their success--positive coaching. The culture of sport will find the appropriate level between win-at-all-cost and 'everyone gets a participation ribbon.' That place is rooted in philosophy and the work of PCA. I do not know Mr. Kaepernick, nor am I a fan of his team (a Washington fan, actually). Yet, his display became an ideal tone-setter for my students this year. Each month, for the next four months, we will spotlight five of the high school scholar athletes who have been recognized as Triple-Impact Competitor Finalists. After their first of two workshops, Masco Youth Hockey coaches reported that they are looking forward to getting Masco coaches and parents on the same page. We are announcing the hiring of Chris Fay as Partnership Manager for the New England Chapter. Here are insights on how Chris will add value to the chapter. Scholarship Finalists Who "Do the Right Thing"
Jim Thompson Featured in "Beautiful: Teaching Girls Soccer The Boston Breakers Way"
PCA Founder Jim Thompson appears in these clips from Beautiful: Teaching Girls Soccer the Boston Breakers Way. “Losers assemble in little groups and complain about the coaches and the players in other little groups, but winners assemble as a team.” 50 years later, can we assemble as a team? PCA-New England’s partnership with Massachusetts Hockey now includes an opportunity for affiliate clubs and organizations to gain a $1,000 grant toward local PCA workshops. Three World Series championship trophies gleamed as PCA supporters listened as Cat Whitehill, Greg Brown, Ted Minnis and Stephen Pagliuca spoke. What did they have to say? New England sportswriting stalwart Dan Shaughnessy has done it again! His column about high school sports playoffs is spot on with its message to sports parents. Find out here what Belichick believes is the most important aspect of being a coach in his video interview with Lacrosse Magazine's Paul Carcaterra. Little League coaches this May participated in Double-Goal Coach® workshops -- and the coaches are loving it. Celebrating the 1,000th win of legendary Boston College Hockey Coach and PCA National Advisory Board Member Jerry York. PCA-New England Chapter Executive Director Beth O’Neill Maloney reflects on the highs and lows of fan behavior at recent high school basketball games. Positive Coaching Alliance-New England is thrilled to announce the selection of ten coaches for its Double-Goal Coach® Award. Inside the Shamrock Foundation's Support for PCA-New England. Our featured partner is Marianapolis Prep. Check out their PCA-themed T-shirts!